3rd International conference on Clinical and Counseling Psychology was organized during August 20-21, 2018 at Singapore with the support and contribution of the Organizing Committee Members. Firstly we must thank you for trusting us and participating at Clinical Psychologists 2018, a global platform to discuss various important aspects of psychology. There are infinite reasons to extend our gratitude to you for making the Clinical Psychologists 2018 outstanding conference. We couldn't have done it without your continuous support and believe towards our organization, which mutually made to achieve Clinical Psychologists 2018 a new heights in the field of psychology. The conference was marked with the attendance of young and brilliant researchers, business delegates and talented student communities representing more than 10 countries, who have driven this event into the path of success. The conference was organized around the theme “Reconnoitering the challenges faced in clinical and Counseling Psychology”. The event implanted a firm relation of upcoming strategies in the field of Novel approaches and Developments in Clinical Psychology with the scientific community. The conceptual and applicable knowledge shared, will also foster organizational collaborations to nurture scientific accelerations. The conference proceedings were carried out through various Scientific-sessions and plenary lectures, of which the following Speakers were highlighted as Keynote speakers: Aileen M Pidgeon, Bond University, Australia, Adrian Low, California Southern University, USA, Ven Chung Ohun Lee, Won Buddhism International, USA, Marissa C Esperal, Southern Luzon State University, Philippines. 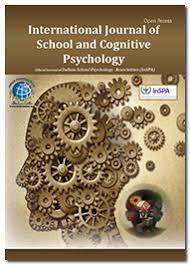 The conference witnessed an amalgamation of peerless speakers, Keynote speakers, well-known researchers and delegates who enlightened the crowd with their enviable research knowledge and on various alluring topics related to the field of psychology through their fabulous presentations at the podium of Clinical Psychologists 2018. 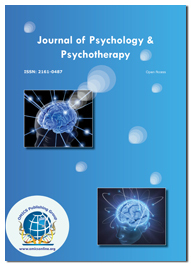 Conference series llc LTD offers its heartfelt appreciation to all the Organizing Committee Members, Chairs and Co-chairs, Speakers, Students, Media Partners, sponsors and Editorial Board Members of Journal of Psychology & Psychotherapy, International Journal of School and Cognitive Psychology and Journal of Psychological Abnormalities who supported the conference in every aspect for the awe-inspiring exhibition at the venue. For 2018 we are expanding our focus towards all aspects of Psychology Re­search findings. Our organizing committee is gearing up with more innovative and explorative sessions to unleash the boundaries of the Clinical Psychologists. Your expertise and knowledge in the area of Clinical Psychology will provide an oppor­tunity to discuss and respond to a series of questions about the status of advanced Clinical Psychologists. We would like to organize this conference with your support to gather all the Clinical Psychologists. Researchers in a single platform hope we will be honored with your support to organize Clinical Psychologists 2018 in a grand level; your support will be the key of success for our next year conference.